We are a leading stainless steel 304 condenser tube manufacturers in India, with annual sales of over 1200 tons. We manufacture, stock and sale ss 304 condenser pipes in seamless and welded form with either mill finish or polished surface. In systems involving heat transfer, a Condenser is a device or unit used to condense a substance from its gaseous to its liquid state, by cooling it. Condensers are typically heat exchangers which have various designs and come in many sizes. 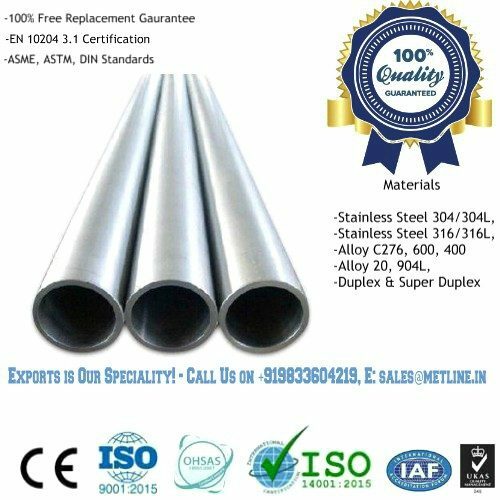 Given our daily sales volume of 20-30 tons of stainless steel 304/304L pipes in India, we are capable of offering our customers with the best quality at lowest prices in the industry. We sincerely welcome new and old customers to co operate with us for all their stainless steel 304 condenser tube requirements. 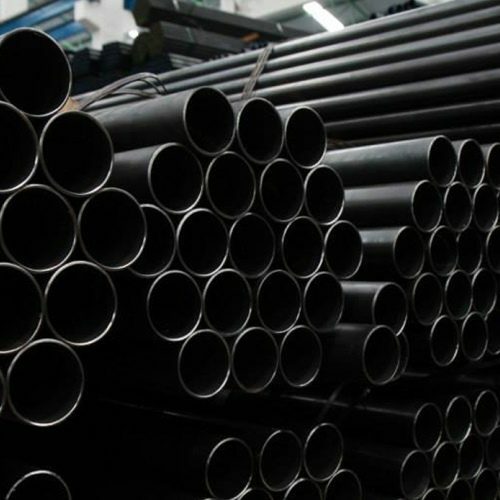 Our production range for condenser pipe and tubes ranges from 6mm~200mm OD with thickness of 0.8mm to 8mm. Metline has developed itself as a leading 304 condenser tube manufacturer and supplier to the global market. 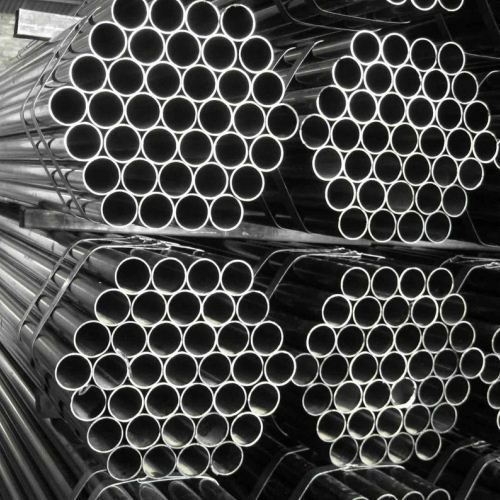 Apart from stainless steel 304 condenser tubes and carbon steel seamless pipes & tubes for the oil and gas industry, we specialise in the export of OCTG, Line Pipes, Structural Pipes and Pipes for Mechanical Engineering. We Sell High Quality SS 304 Condenser Pipes & Tubes at Reasonable Prices! High Quality, But Low Prices for SS 304 Condenser Tubes! Condenser tubes are specifically designed to efficiently condense process fluid off of the outside of the tube. This application is widespread in heat exchangers, from being part of a condenser and evaporator refrigeration cycle in a chiller, to condensing steam in surface condensers, and everything in between. These tubes are commonly manufactured with an O.D. of 5/8″, 3/4″, and 1″. Some applications, particularly ammonia chillers, use larger O.D. tubes than these. Condenser tubes can also be internally and externally enhanced to further increase their efficiency.